Representative Steve Butz, a Democrat, represents part of St. Louis City (District 81) in the Missouri House of Representatives. He was elected to his first two-year term in November 2018. In addition to serving in the legislature, Butz is the president of the Crawford-Butz Insurance Agency. He received the President's Choice Award from Safeco Insurance in 2018. Butz is also a managing partner for Eagle Hurst Ranch in Steelville. Butz is an Eagle Scout and continues to support the Boy Scouts of America as a Friend of Scouting. He is also a member of the YMCA, and attends St. Stephen Protomartyr Catholic Church. Butz attended Bishop DuBourg High School and obtained a bachelor's degree in Business Administration from the University of Missouri - St. Louis. He is counted among the Bishop DuBourg High School Distinguished Alumni. 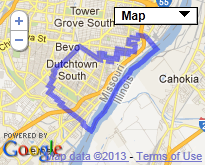 A lifelong resident of south St. Louis, Butz currently resides there with his wife, Angie. They have six children and seven grandchildren.